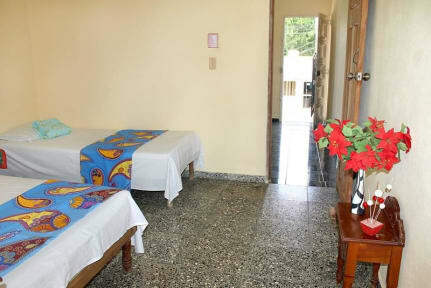 The house of Rent Hostal Hermanas Ruiz is located in the center of Trinidad. Is a house built in 1950 with rooms available for rent with spaciousness and comfort to give the tourist the amenities you need. Towels and cleaning service are also included in the price. Pets, children and smokers are welcome. 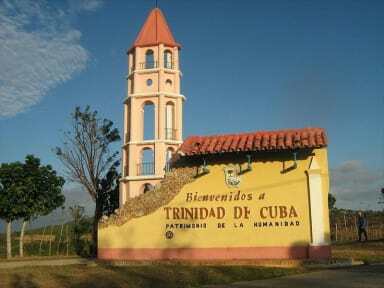 The property is located in the downtown of Trinidad, near to the Tobacco House. In the area you can find la Casa del Alfarero, La Ermita de Santa Ana, el Centro Recreativo Plaza de Santa Ana, La Casa del Tabaco and many Taberns and traditional Restaurants. The room have two individual beds , air conditioner, a private bathroom with cold and hot water, a minibar, a fan and read light.